The BC42 is another basic student computer task chair. It comes with hard shell plastic back/upholstered front and hard shell seat pan base. 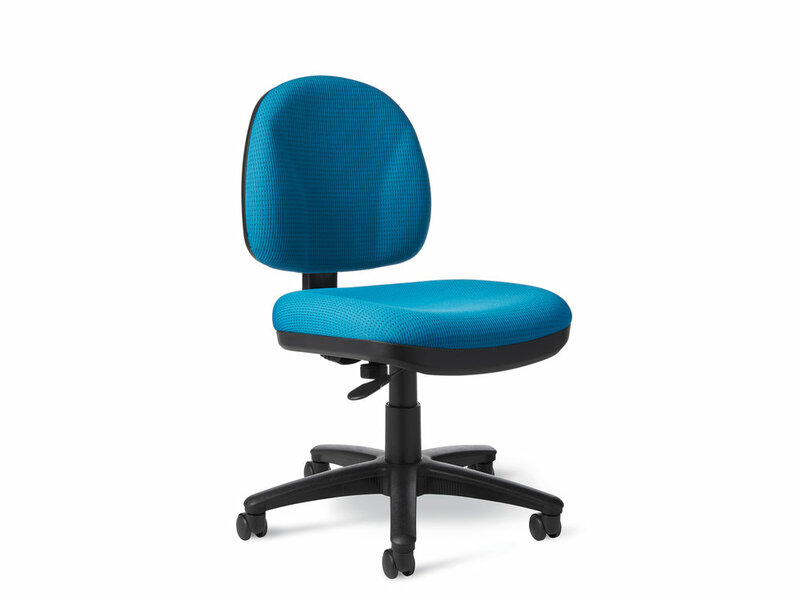 Construction features height adjustment, backrest vertical lumbar support and contour molded foam seat and back. Arms are optional. Simple functions and straightforward design.